Where have the past 8 (nearly 9) months gone? Seriously, how have they passed so quickly? It honestly doesn’t seem that long ago since baby girl was born and now she is growing up with frightening speed! 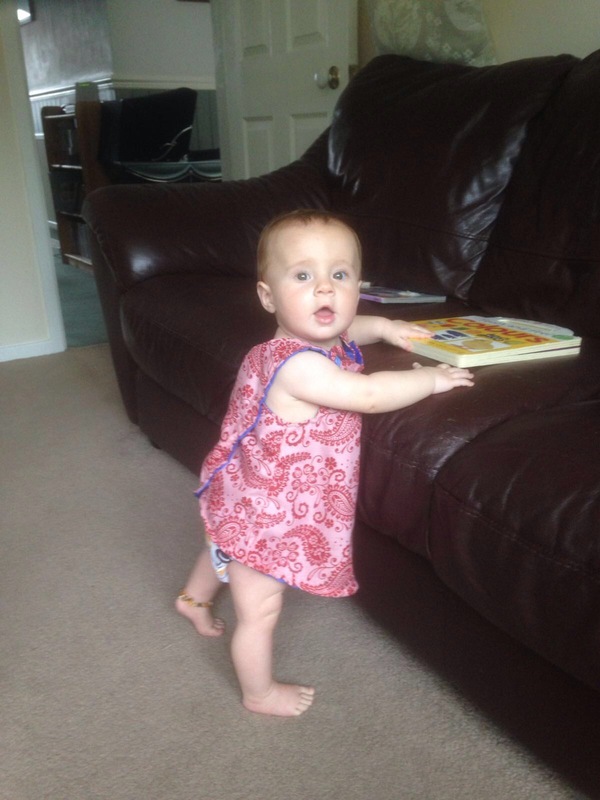 Over the past month and a half she has started to pull herself up to standing and can now crawl at the speed of light. Come on now child, slow down! Please! I love that she is learning new things and I am incredibly proud of her when she masters a hard practised skill. It just scares me if I am honest. It scares me that these days, when my children are young and need me, are flying by and I worry that I am not making the most of them. I am not making the most of the time I get to play with my children, or cuddle my children, or read with my children. Instead I get frustrated that baby boy wants me to do a jigsaw with him when I am trying (and failing) to clean the kitchen. I get annoyed when baby girl won’t stop crying and just wants to be held when I am trying (and failing) to hang the washing out. Instead of revelling in the time I have with my babies and making the most of every single second, new skill and milestone, I am stressing about things that need to be done and aren’t getting done. In short I am missing out on my gorgeous children. The funny thing is that I haven’t even gone back to work yet. I am still at home full time and yet I feel like I am missing out! That obviously then sets off a new worry about being a full time working mum and missing out on even more things. My god, the guilt is everywhere! The next few weeks before I start my job are going to be hectic but I really need to slow down and spend some quality time with my beautiful, perfect children. They deserve my time and full attention whilst we have the opportunity. Things are going to be very different soon and I can’t help but feel sad and slightly resentful that someone else is going to spend the majority of time with my babies. Thanks for sharing your thought! Mummy guilt is hard!! !